Director duo Abbas Mustan’s much awaited movie ‘Race 2’, a sequal to their 2008 super hit movie, ‘released’ today. 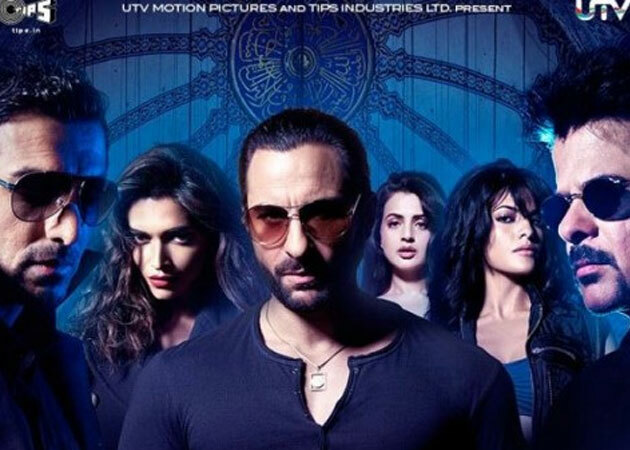 The film is produced by Ramesh Turani, Ronnie screwvala, Siddhart Roy Kapoor starring Saif Ali Khan, Anil Kapoor, John Abraham, Bipasha Basu, Jacqueline Fernandez, Deepika Padukone and Ameesha Patel in lead roles. The music of the movie is too good. ‘Lat lag gayi’, ‘Allah Duhai’ and Atif Aslam’s track ‘Be Intehan’ are the most loved songs of the movie. Critics have also given good reviews to film’s music. Not revealing the suspense of story – The Movie is Good. It’s a complete package with some great twists and turns. It’s a kind movie where you won’t like any break. It won’t make you get up from your seat. Saif and Anil Kapoor have performed well. John Abrahim plays as a mafia don. The action and suspense is stupendous. Anil Kapoor’s comic timing has been superb and dialogue delivery is really pleasant to watch. If you are suspense and action movie lover, then this movie is a must watch for you and it deserves to be in 100 crore club. So if you are planning to watch Race 2, do share your views with us.